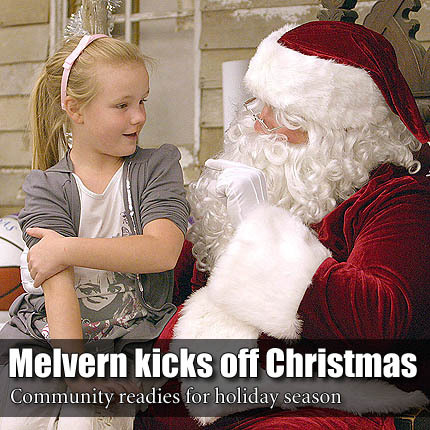 Residents packed the Melvern Community Center after the lighting of the city’s Christmas tree Saturday. The city and extensive list of sponsors invited the community for dinner, presents and a chance for children to let Santa Claus know what they wanted for the upcoming holiday. Above, Kyla Vogeler, 8, Melvern, tells Santa what to bring her on Dec. 25.